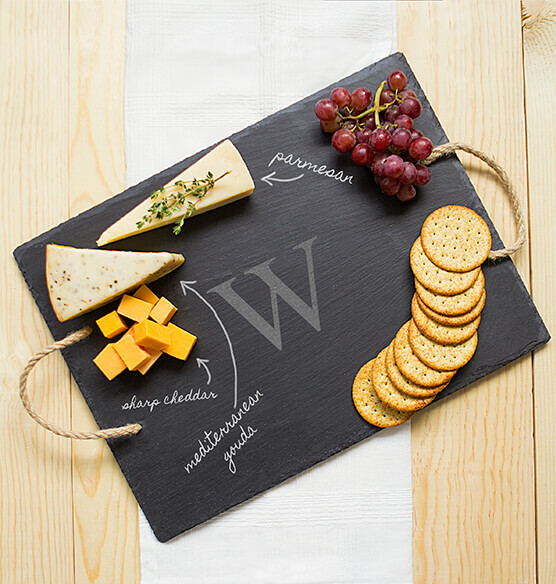 The vintage Slate Serving Board makes for a beautiful display, especially after labeling gourmet foods with soapstone chalk (included). 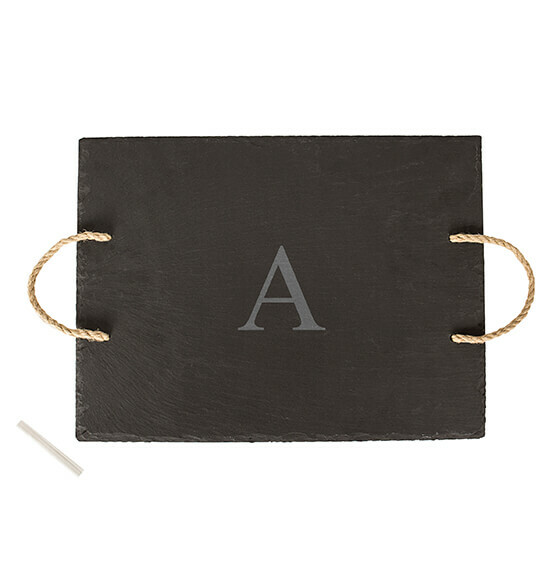 Both practical and decorative, the serving tray is finished with hemp handles and custom personalization. 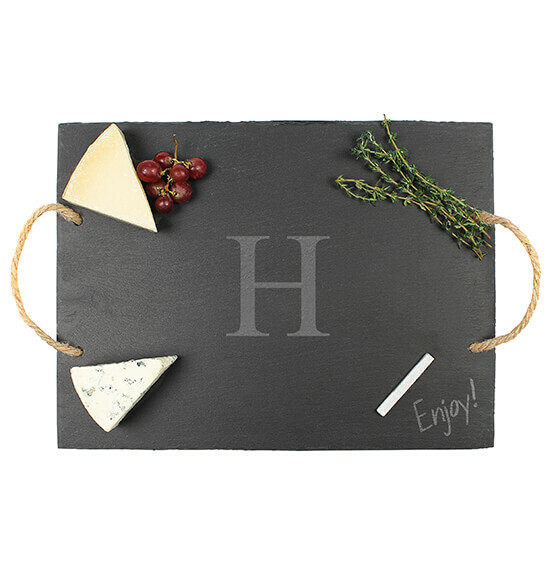 This item is expected to be in stock December 14, 2018.